Tee off from one of the resort’s three nine-hole golf courses, and follow in the footsteps of golf greats like Sam Snead and Arnold Palmer, both of whom have played here. All of Carrollwood’s 27 championship holes were remodeled in 2004 by famous architect Dan Maples, and have recently been resurfaced with Champion Ultradwarf greens. No matter what your skill level or handicap, you’ll find these courses both challenging and rewarding. Whether you’re visiting the Tampa Bay area for work or play, the luxuriously appointed accommodations at Emerald Greens Condo Resort provide an atmosphere that encourages both rest and recreation. Each of our 50 suites is spacious, elegantly furnished, and classically decorated with golf-related accents, inspired by Carrollwood Country Club’s three famous courses. Everything you need for a memorable stay is here – from a fully equipped kitchen with granite countertops to a private balcony overlooking the pool, clubhouse, or tennis courts. Stay connected with complimentary high-speed wired and wireless Internet access, or relax in your comfortable family room and watch television on your flat-screen TV. 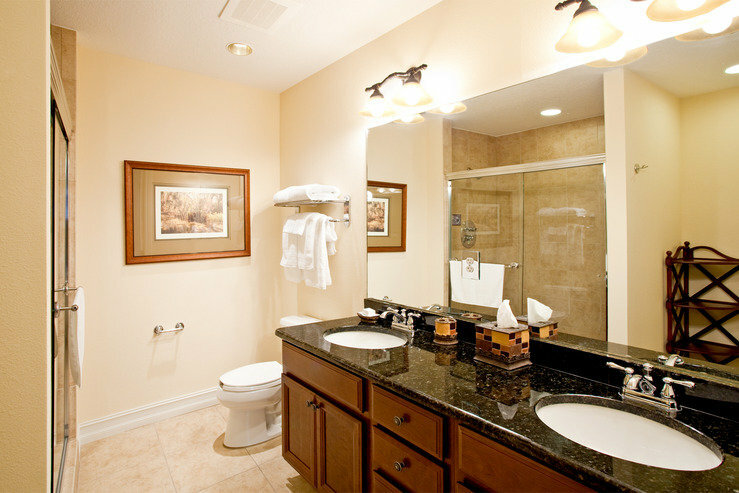 Bathrooms include double vanities, body spray shower jets, and luxurious PAYA amenities. One-bedroom suites include a fully equipped kitchen with granite countertops, appliances, and cooking/eating utensils. The bedroom features one King or two Twin beds and a flat-screen TV with Cable television. The suite also includes a family room with sitting area, dining table, and another flat-screen TV, and a bathroom with granite counters, double vanities, and a tub/shower with body spray shower jets. Two-bedroom suites include a fully equipped kitchen with granite countertops, appliances, and cooking/eating utensils. Each of the two bedrooms offers one King or two Twin beds and a flat-screen TV with Cable television. The suite also includes a family room with sitting area, dining table, and another flat-screen TV, and two bathrooms, each with granite counters, double vanities, and a tub/shower with body spray shower jets. There’s more to Carrollwood than just golf, however. 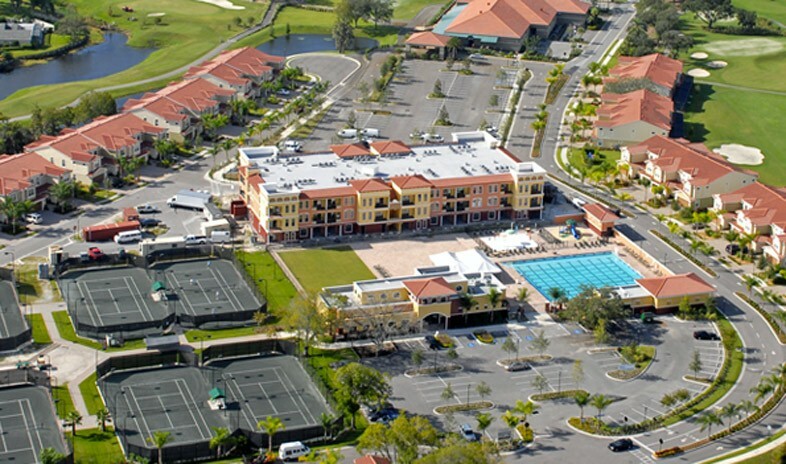 The resort also proudly offers eight lighted hydro tennis courts, a Junior-Olympic sized swimming pool (with a splash pad and playground for the kids), a modern fitness center, stocked with the latest in cardio equipment and weights, and several delicious onsite dining options. Grocery shopping: Email us and we’ll pick it up and deliver it to your condo (a 15% service fee applies). We shop at Publix Grocery Store and ABC Fine Wine & Spirits. 24 hour advance notice required. Discounted tickets: Emerald Greens offers guests discounted tickets to Busch Gardens and Adventure Island. Stop by the concierge to claim your ticket during your stay. Business center: The resort business centeris available 24/7 and is available to all guests free of charge. Transportation arrangements: We can assist you with transportation via taxi, limo, town car or anything else you may desire. Dry cleaning: Our staff will be happy to transport your clothes to a nearby dry cleaner and pick it up once it is ready. Thursday resort happy hour: Every Thursday, from 5pm – 7pm, Emerald Greens hosts a happy hour where each guest receives one complimentary beverage. Further beverages can be purchased at happy hour pricing. Luggage/golf club storage: Feel free to have your luggage or golf clubs sent to us prior to your arrival and we will be happy to store them for you. On your day of arrival, we'll be sure to have them in your condo waiting for you! Discounted rental car rates: Emerald Greens offers its guests discounted rates with Enterprise Rent-A-Car. Please contact the Concierge for assistance. Emerald Greens Condo Resort welcomes you to Tampa, Florida with boutique suite accommodations, thoughtful service, and a wealth of amenities that will delight you – whether you’re here on business or to enjoy a relaxed vacation. Our luxury hotel is Tampa’s most unique resort, located just 15 minutes from Tampa International Airport on the property of the breathtaking Carrollwood Country Club. In addition to our 50 beautifully furnished condo suites, we offer world-class amenities and services, as well as delectable cuisine at two onsite dining spots. During your stay, guests can receive special services, which include dry cleaning drop off and pick up, grocery shopping, transportation arrangements and luggage storage. 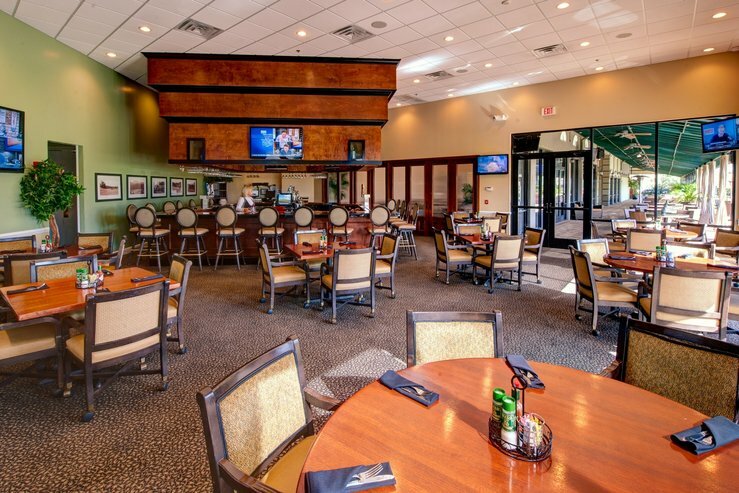 As a guest at Emerald Greens, you’ll enjoy access to Carrollwood’s incredible CLUB AMENITIES. Play a round or two of golf at the club’s 27 championship holes, take a dip in the Junior-Olympic sized pool, perfect your forehand on one of eight lighted tennis courts, or break a sweat in the state-of-the-art fitness center. If you’re here to host a MEETING OR EVENT you’ll have the expertise of the Emerald Greens and Carrollwood planning teams at your disposal – not to mention Carrollwood’s 5,000 square feet of splendid event space. And if you’re in the mood to explore your SURROUNDINGS, our convenient North Tampa location places Tampa Bay and St. Petersburg’s top attractions at your doorstep. Perhaps that’s why Emerald Greens was awarded TripAdvisor’s Certificate of Excellence in 2010, 2011, 2012, 2013 and 2014.